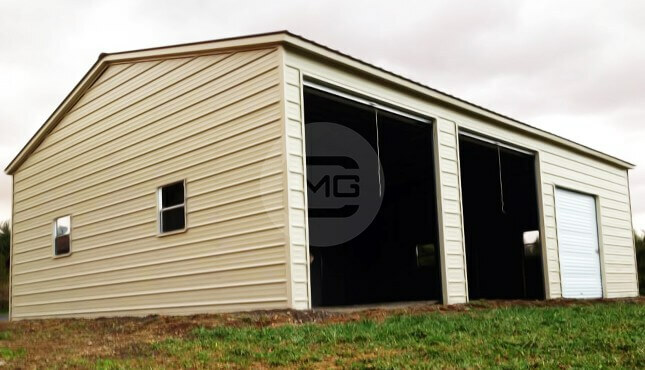 22×36 Three Car Side Entry Garage Featuring a Three Car Side Entry Metal Garage with the dimensions 22’ wide x 36’ long and 8’ tall. 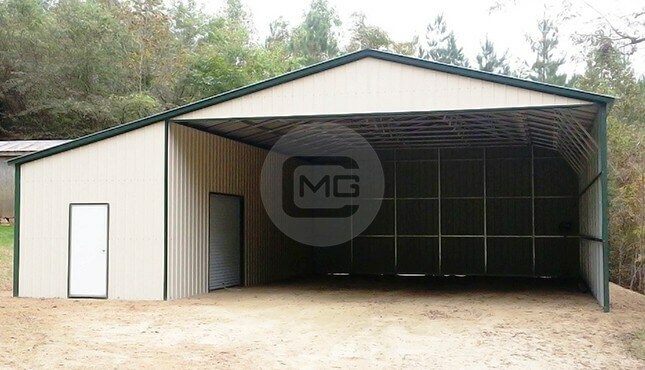 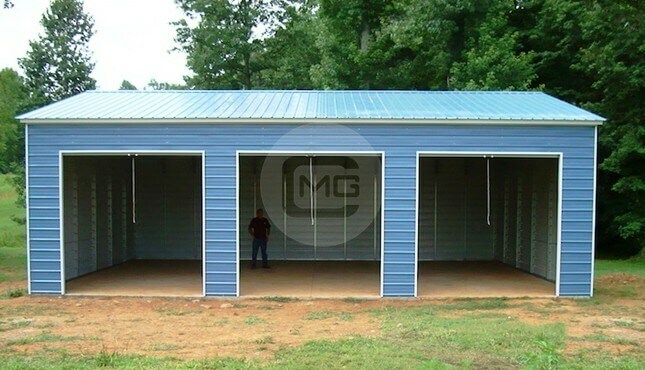 This Side Load Metal Garage has three roll-up door openings with the measures 8×7’ with 45 Degree cut. 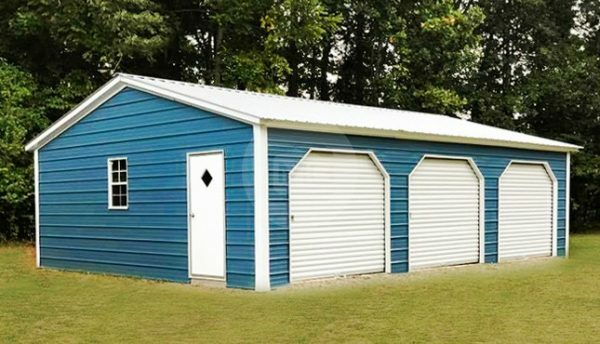 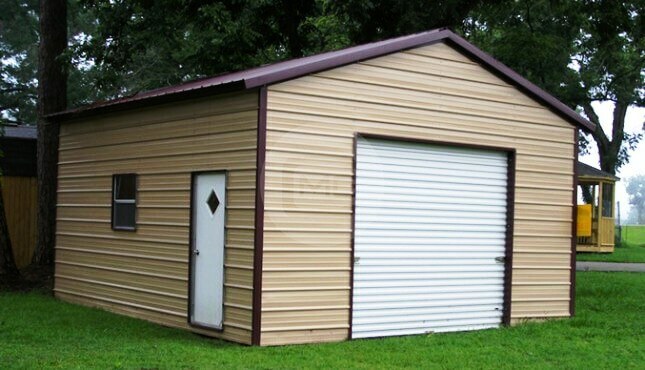 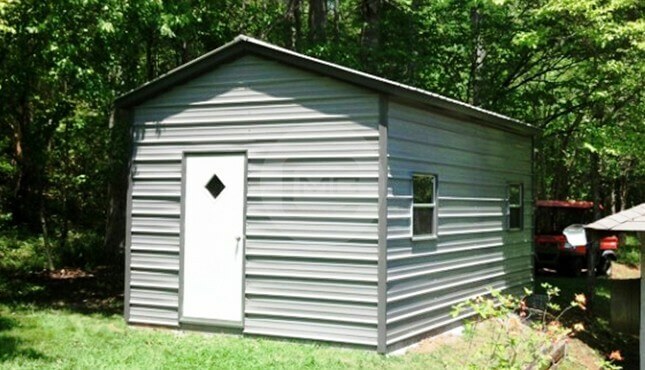 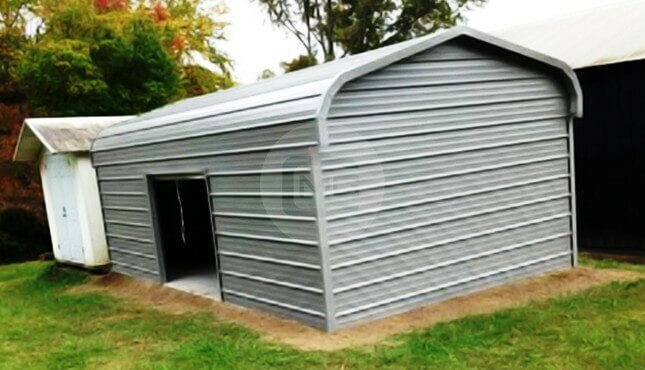 If you have a sizable lot and 3 cars, this metal garage will best fit. 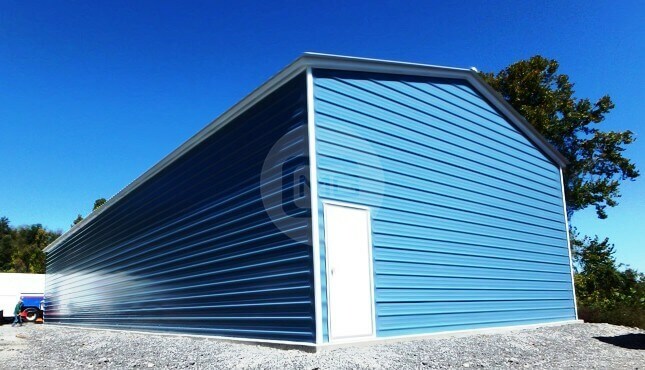 It has the most recommended Vertical roof style which doesn’t let the snow on it for a longer period as the panels run from top to bottom side. 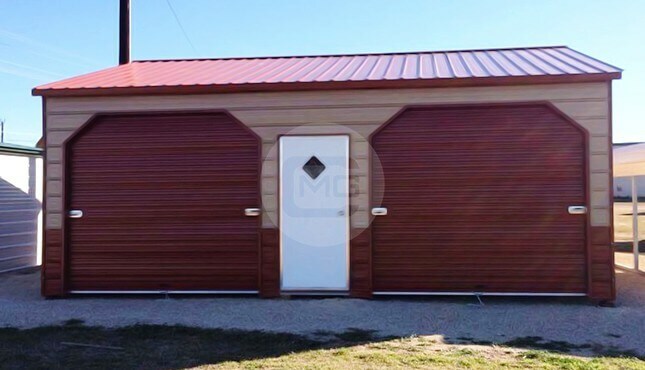 There is one 36×80” walk-in door added to ease the regular activities so that you don’t have to open the roll-up doors every time and two standard size windows for natural light. This white and blue colored side entry metal garage is certified for 140 MPH and 30 PSF, has all the anchors & braces in place for additional strength and durability.